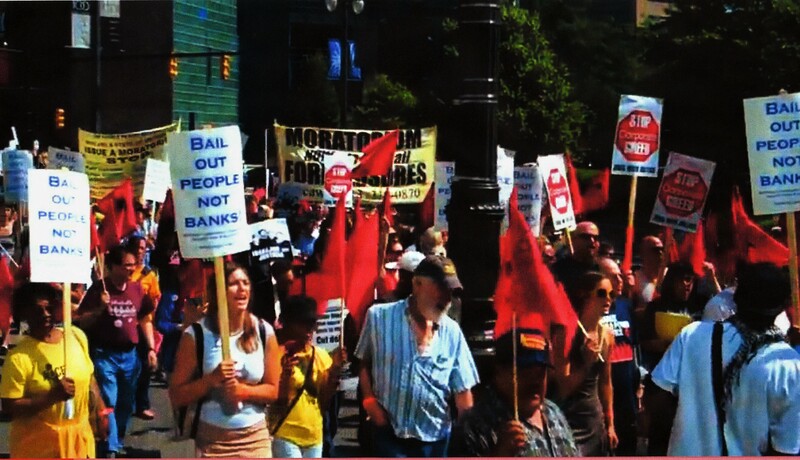 Michigan leaders in the fight against the foreclosure crisis reacted strongly Sunday to revelations that mortgage giant Fannie Mae appears to have been pushing banks to foreclose on homeowners rather than continue negotiating loan modifications. The story broke in the Detroit Free Press, which reported it had been given some 2,300 internal records and memos from Fannie Mae. Those documents included indications that lenders should proceed to foreclosure sales rather than allow any time for modifications, and memos which indicate the company was threatening to charge a penalty to lenders who allowed foreclosures to wait too long before they were executed. Particularly troubling was the fact that these memos came at the same time that Fannie Mae officials were testifying before Congress that they were doing everything in their power to prevent foreclosures. Neeta Delaney, co-director of the Michigan Foreclosure Task Force, had a slightly more muted response. Steve Dibert, a mortgage fraud investigator who owns the company MFI-Miami, said there was little surprise in the new revelations. The documents also may impact all foreclosures. Dibert notes that those documents appear to indicate an ownership of the mortgages. The result of this, Dibert has noted in the past, could be the elimination of thousands of foreclosures because the law was not followed properly. While Hertel would not discuss particulars in how these new documents and revelations might impact his ongoing lawsuit against the mortgage giant. 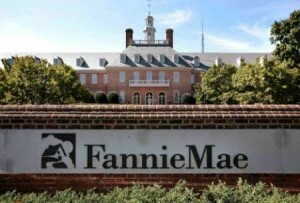 “It shows a direct willingness of Fannie Mae to lie to Congress and the American people,” Hertel said. Ultimately, however the disclosures shake out, Delaney says she knows who will lose. 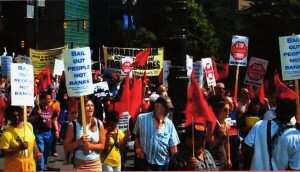 VOD ED: Attorney Vanessa Fluker, and the Moratorium NOW! 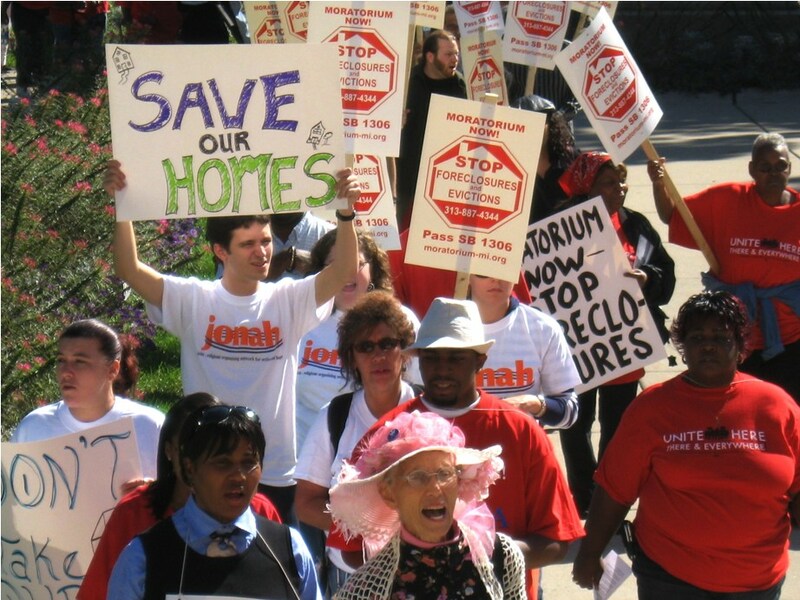 Coalition to Stop Foreclosures, Evictions and Utility Shut-offs, were the first to expose the role played by Fannie Mae and Freddie Mac in the devastation wrought on U.S. cities by the mortgage companies and the banks. Fluker was also first to challenge and win a case finding that MERS has no authority to foreclose on homeowners. 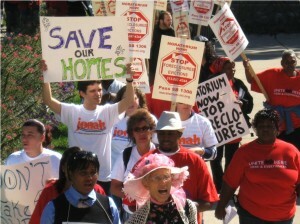 For more on the Coalition, located here in Michigan, go to http:// www.moratorium-mi.org/ and http://www.mecawi.org/.